Have you seen first RED movie? It’s quiddity, by the way - first, it means red like color, and it’s abbreviation Retired, and Extremely Dangerous. It was based on comic book by Warren Ellis, and it got very good marks by the movie critics all around the world. So, now second part is coming to big screens. Let’s see what we will have in it. 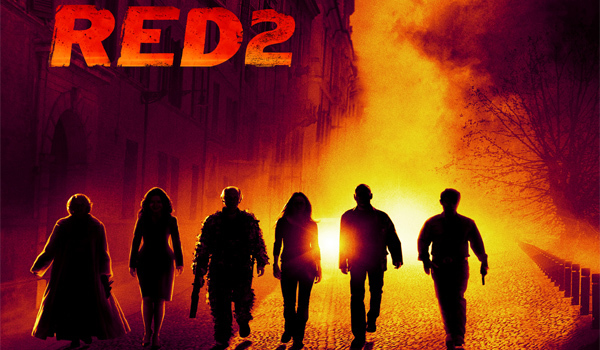 First, RED 2 actors will be the same, plus some new names! Bruce Willis as Frank Moses, Mary Louise-Parker as Sarah Ross, John Malkovich as Marvin Boggs and even Helen Mirren as Victoria - they’re coming back! But that’s not the only good thing - let’s see who’s also there! And it’s Antony Hopkins! I think they only missing Jeff Bridges. Oh I’m still impressed by R.I.P.D. movie trailer, you can’t blame me for that! And I like Jeff very much also. Well, is it a good thing that all the actors from first part of RED is coming back? I think - of course it is! They made a great company before, and they can’t do it badly now. I don’t really know, though, what is Denis Khoroshko doing there - he’s Russian actor, who living in the UK now, and I can’t say he plays really well. You may know him by the movies like Tinker Tailor Soldier Spy or Housefull. I bet you don’t remember him even if you like these movies. What his role in the RED 2 will be - I still don’t know. Well, we’ll wait - we’ll know, won’t we?